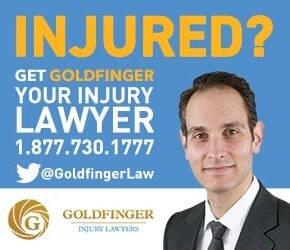 Goldfinger Injury Lawyers is proud to represent clients across the great Province of Ontario. Our law firm has a track record of reaching out to accident victims in communities where no other personal injury lawyer would venture. Our personal injury lawyers will travel to meet you at your home, hospital, or rehabilitation facility following your accident. With offices in Toronto, London and Peterborough, we’re able to cover a wide base. Even if you can’t make it to one of our offices, we would still be pleased to meet with you. We would be pleased to bring our personal injury experience to your town or community. A list of some of the larger and more popular communities which Goldfinger Injury Lawyers serves is detailed below. Don’t see your town or community on this list? Don’t worry. If you’re in Ontario, or your accident happened in Ontario, Goldfinger Injury Lawyers guarantees that we can service your case. Call us at 1-877-730-1777 or email us at info@goldfingerlaw.com and let us know where in Ontario you are so that we can help you today.